It was second verse, same as the first for the Cleveland Browns on Sunday in Baltimore. 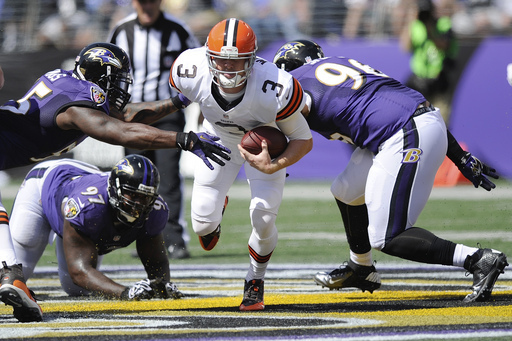 An ineffective offense that could not find the end zone, a defense that played good enough to keep the Browns in the game but not good enough to win, and just enough mistakes all added up to a 14-6 loss to the Ravens. It was the 11th consecutive time the Browns have lost to Baltimore and leaves the Browns at 0-2 on the season. But it was more than just another loss. An off-season that was full of hope for an improved product on the field, especially on offense, has evaporated like a puddle after a rainstorm on a hot summer day. The season already feels lost, in large part because despite new players and the promise of a new philosophy on offense and defense, it looks and feels like the same old Browns. All after just two games. We take a look at all the fun at The Cleveland Fan.